Karamba is a site purely for casino gamblers, providing slot, card and table games that are sure to satisfy any casino taste. There are also Scratchcards and Keno options available which you don’t see in every online casino. The Welcome Offer is open to all new players and is presented as a Welcome Package that keeps on giving over your first three days, with rewards totalling up to €200 plus 100 spins. To benefit from these after registration, deposit up to €200 on your first day which will be automatically doubled and you will be awarded 20 spins. There is no need to put in a bonus code and your account will be credited instantly. On the second day, you will get 40 spins and then on the third day you will get 40 spins plus an extra bonus surprise. In some cases, the bonus doesn’t come through which means you may have to request it from the support team either online or via email. Be sure to bear in mind that the Welcome Offer is limited to one use per household and subject to terms and conditions. All bonus money is valid for 21 days following it being credited to your account and any spins must be used within one day of receiving them. Bonus and winnings are subject to a 35x wagering requirement. Once you’ve enjoyed the Welcome Package it’s time to start enjoying the many promotions and competitions that are always happening at Karamba. There are daily, weekly and monthly offers and challenges to win big prizes. You can get rewards just for playing in Karamba’s Loyalty Lounge where you receive a Reward Point for every €40 Real Money wagered. As you collect more points, your VIP status improves going through Bronze, Silver, Gold and right the way up to Prestige, unlocking new benefits as you go. Each new level is like becoming a new member all over again with Free Games rewarded at every level and, from Platinum VIP upwards, you’ll get bonuses and upgrades. The top two levels, Premium and Prestige, are unlocked by invitation only and come with special offers from your Personal Account Manager. If you want something a little more competitive, you could try something like Last VIP Standing where €5,000 is the top prize for making wagers for the most consecutive days. This contest is an exclusive for Platinum, Premium or Prestige level members of Karamba’s Loyalty Lounge to enter. There are always new deals to enjoy so keep checking back so as not to miss out. 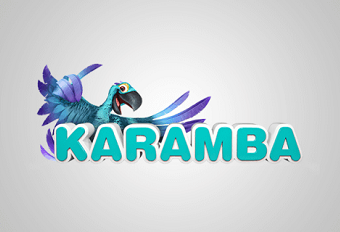 Karamba Casino is a website that is fully optimised to be played on the smaller screens mobiles or tablets. Just access it from your mobile browser and you can play the full Karamba experience while you have an internet connection without downloading anything. This is great for mobile lovers as apps and mobile sites for other online casinos are often restricted in the games they offer. All online casinos have terms and conditions when it comes to their offers and bonuses and the savvy gambler reads and understands the fine print before taking part. Karamba’s terms are easy to access and are written clearly with examples explaining the more technical aspects of the deal. Even so, it’s always helpful to bear a few things in mind when it comes to casino bonuses at Karamba. All bonuses, unless otherwise stated, are subject to a 35x wagering requirement before cashing out your winnings. For example, if you win €10 in bonus money you will have to wager €350 before making a withdrawal. Winnings from no deposit bonuses are typically subject to a 50x wagering requirement. Some games contribute nothing to reducing the wagering requirement so be sure you are familiar with these before playing. There is also a limit on what you can win from no deposit bonus money which is capped at €100. Any other winnings beyond the €100 mark will not be counted. The amount you can receive from daily bonus deals is capped at €200. Other casinos often run promotions from midnight to midnight on the day or days they are valid but at Karamba they run from 7am to 7am unless otherwise stated. When partaking in tournaments all times follow GMT only so bear this in mind if playing from other territories.